What does it mean when your house feels stuffy and stale during the shifting seasons? It might be down to a single cause or a mix of things. Allergies often play a role, and low humidity does not help; stuffiness may also show a need for maintenance of your heating and cooling system or cleaning of the duct. Although homeowners have a choice to work on some essential steps to banish the stuffy air during the summer for good. When does your house start feeling stuffy? Here are some general reasons that prompt the stuffiness in your home. 1. For the first time in months, you switched on your Air Conditioner. 2. When plants release pollen and leaves start fluttering to the ground. 3. You close the windows and until spring you keep them shut. 4. Closed windows with issues in furnace and ventilation system can also result in staler air. These issues when combined together can worsen allergy symptoms. Therefore, it’s better to take appropriate precautions in advance to avoid any inconvenience in the future. Below are the points discussed that trigger the stuffiness and stale air in our homes. It is probably one of the major reasons why your home feels stuffy during the summer. Humidity often makes the summer environment unbearable whenever it exceeds from 45-65%. The high level of humidity makes the place muggy and sticky inside. The low humidity also has worse impacts on homeowners. Air with low humidity can dry out the nasal cavity he and we become more vulnerable to the viral diseases. Leaking or damaged ductwork can make the situation of stuffiness even worse. The leaks allow the air loss resulting in reducing the supply of cold air to the home. With a compromised supply of conditioned air, the indoor gives the stuffy feel. When the air conditioner is turned on for the first time in months, it ultimately stirs ups all the mites and microbes that were residing in the air ducts. Therefore, contaminated air ducts often initiate sneezing and other symptoms and make the air feel staler. Cleaning air ducts timely will reduce many potential problems for your home. Once you decide to clean the air ducts, make sure to hire a professional and certified HVAC team; who has expertise in using the appropriate steps and right air cleaning equipment and ensures the problem will not elevate in future. Stuffiness in homes is often due to the poor ventilation system. The poor air flow makes hard for the stale air to circulate out of our living space. The problem is more common for homeowners who don’t check up their heating and cooling system for years. The right care and maintenance make your air conditioner to deliver the desired result for the extended period of time and also increases its lifespan. 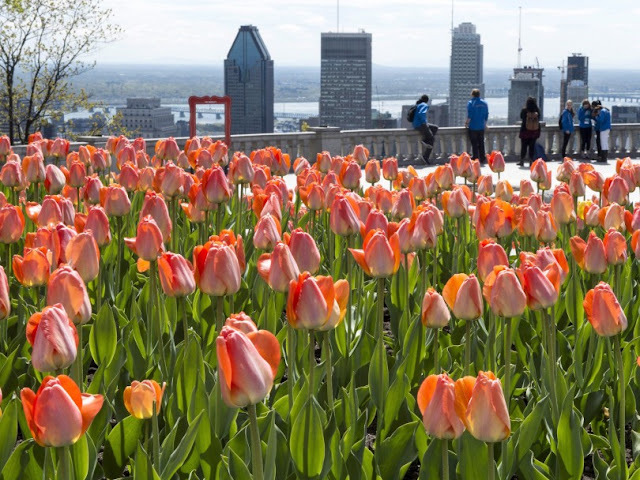 Every Canadian is desperate for the cold and persistent heavy snowy weather of winter 2019 to reach an end. Toronto experienced the coldest January with a temperature of -23c and snow accumulation in different provinces of Canada has doubled over a year ago. Snowshoeing and skating outdoor just became the dream since we continued hibernating in order to avoid the wind chill into the -30. In the meantime, the snowy winter also brought an extra strain to the heating system. To keep your Furnace running effectively, scheduled maintenance should be the prime concern. The timely maintenance keeps your heating system up and avoids all the risks that may lead to the emergency furnace breakdown. According to some legends, the fate of forecasting the coming of spring depends on the shoulders of some furry groundhogs every year on February 2—a day we call as Groundhog Day. The groundhogs of North America are in the agreement that in Feb-2- 2019 they are not observing their shadow. Hence, predicting an early spring. You better not warm your heart with the news as Farmer's Almanac is envisioning differently. This time you have to prepare for the long winter than the usual one. As per Farmer’s Almanac prediction, Canada will witness continuing snow and cold temperature. The early march is more likely to bring snow showers to the various part of the country. The winter will linger throughout the April and early May. How can you avoid the overworking of a Furnace in the long heating season? You would like to ensure that your heating system runs optimally throughout the course and it can only be done with the regular Furnace maintenance. In the long heating season, you might sense some unusual noises coming out of your furnace. Don’t ignore such signs as they are the indication that something is wrong with the system. Mind that a non-repaired furnace not only puts your family at a risk but can make water pipes to freeze costing you hundreds of dollars for repairing. Read on to know how you can keep at arm's length from the furnace overworking. · In case you have a drafty home that lets the cold air in and results in furnace overworking while also spikes your electrical bill, make sure to add insulation to the walls so that the warm air can be trapped inside. · Don’t close the vents in an unoccupied room. You feel you are saving energy but you are paying for extra heat since closing the vents create more work for the system. 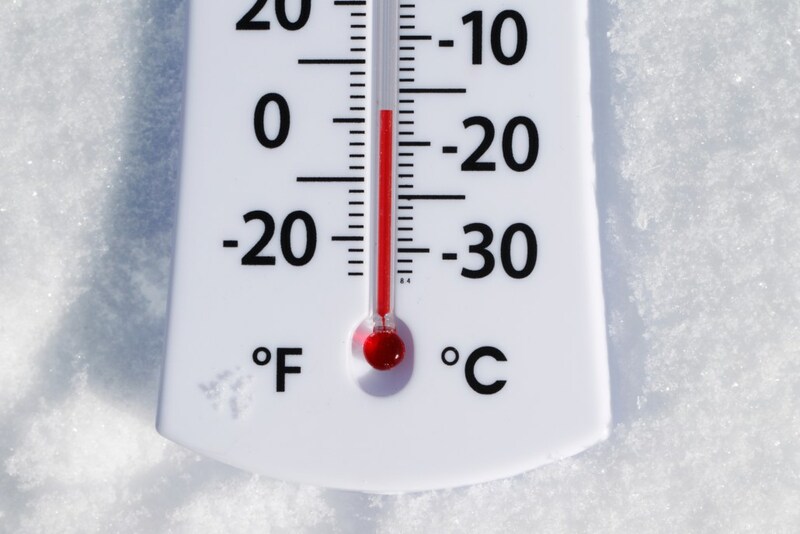 · Whenever we feel cold, it is natural to turn up a thermostat few degrees high so the furnace can pump out the hot air speedily and we get warm quickly. You need to fight against such instincts, Moreover, changing the old thermostat with a smart or programmable thermostat is also worth considering. Neglecting to the timely change of air filter should be a big deal to you – especially if you have active allergies. A dirty filter also disturbs the functionality of a furnace as it blocks the proper flow of air through the entire system. We all like to seal in tight by keeping the windows and doors shut against the cold in the chillier winter season. The freezing winters exacerbate health issues related to respiration. 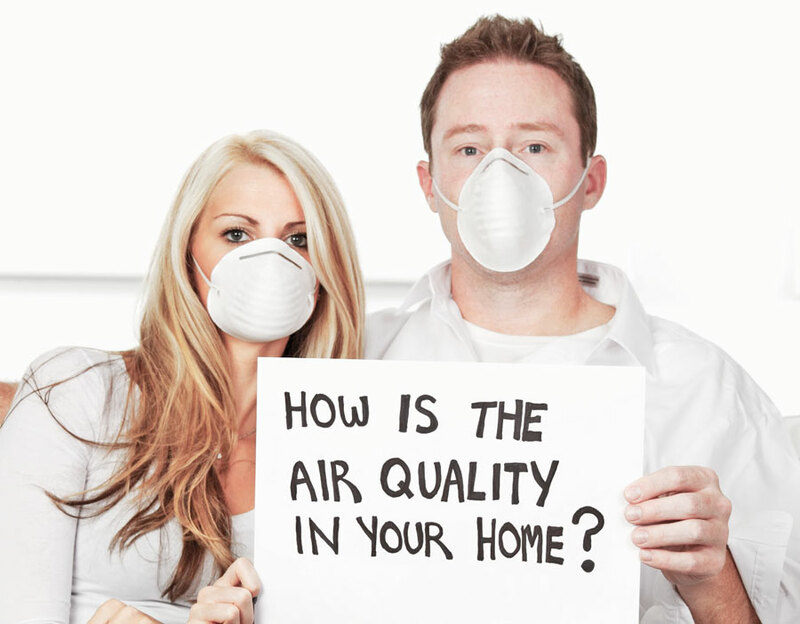 We underestimate the importance of indoor air quality, but it is proven deadlier than the outdoor air. Heating systems and stale indoor air can excel in the presence of mould, spores, dust mites, and other allergy-inducing particles. In today’s article, we’ll share the easiest methods to combat air pollution without opening the windows. A recent journal published in “Science of total environment” has suggested that indoor air quality is twice noxious than the outdoor air. Indoor air quality becomes worse in the winter season because we restrict the flow of fresh air. This causes many problems including asthma, sleepiness, digestive tract issues, and fatigue. Cleanliness plays a vital role to kick off the health hazards associated with contaminated air. To keep your place clean and healthier, you must vacuum once a week. A vacuum having a HEPA filter can double the benefit. Sweeping back curtains and dust mite check also ensure better air quality. The irregular or restricted ventilation makes a place stale and contaminated. The homeowner should manage to schedule a plan to clean the air vents every year. It keeps the ventilation system clean and healthier for the long haul. Plants are one of the excellent anti-pollutants. There are some air purifying plants, which have a tendency to absorb some volatile organic compounds. Plants reduce the toxins and play an integral role to keep a home healthier. This ultimately enables you to breathe in fresh and healthier air. There are some other purification systems that can remove the unwanted airborne particles. Having such a purification system in the home will improve the indoor air quality without opening the windows. Excessive moisture in the environment can initiate the growth of allergens. Never let the humidity rate to exceed more than 60% particularly if you are using a Humidifier. Leaks in ductwork are likely to be fixed, but the areas that are less inhabited are often ignored. The slight leaking on such places will leave adverse impacts, pulling bucks of dirts from the ductwork out. Make sure to choose eco-friendly cleaning products. There are certain nasty chemicals incorporated with differed fragrances or detergents that can damage the air quality in many ways. Refrain from using such products, instead opt for products which are non-scented or have the least chemicals. Pets dander can be significantly harmful particularly for people with sinus or other respiratory tracts problems. It is, therefore, crucial to comb and bathe the pets regularly. This helps in reducing the filter clogs in addition to making the IAQ better. A lot of people think that it takes a lot of investment to make the home energy efficient. The truth is, some simple and affordable choices can give almost the same result that very hefty investments can give. Below are 5 smart ways to make your home efficient with minimal investment. You, like many other homeowners, can mistakenly consider discomfort in the indoor a result of system declining its efficiency when in actuality, it is the failing insulation that is raising the level of discomfort. Check out the walls and attic and get them refilled before the peak winter begins. In case you have never had your home insulated, at least get the attic insulated. It will keep your indoor warmer and will reduce the bills. To your surprise, a whole lot of warmth in winter gets wasted only through the leaks in the windows. Even small leaks let significant warmth out of the indoor. This way, not only the comfort gets compromised but also the heating system runs unusually more resulting in wear and tear and higher energy bills. Sealing windows takes not more than a few dollars. You can get yourself a duct tape and seal the leaks. Insulate the pipes with foam. Insulated pipes reduce heat loss resulting in retaining the temperature of the water as it passes through the lines. Do it particularly if you have long supply lines. Also, insulation of the tank makes a whole lot of difference. Although tanks are already insulated, adding another layer will help in saving the time for heating water and saving some dollars on energy bills. The indoor can become warmer in winter with less use of Furnace if you cook efficiently. Instead of using electric ovens, make use of your gas ovens. Also, keep the door of the oven open after cooking so that the warmth spreads in the indoor. Upgrading to energy efficient appliances may appear to be a costly investment but the overall expense can reduce to a significant extent by taking advantage of rebate programs. There are several governmental and non-governmental programmes that offer rebates on the purchase of energy efficient appliances. As said above, there are simple and affordable ways that can help make the home energy efficient. 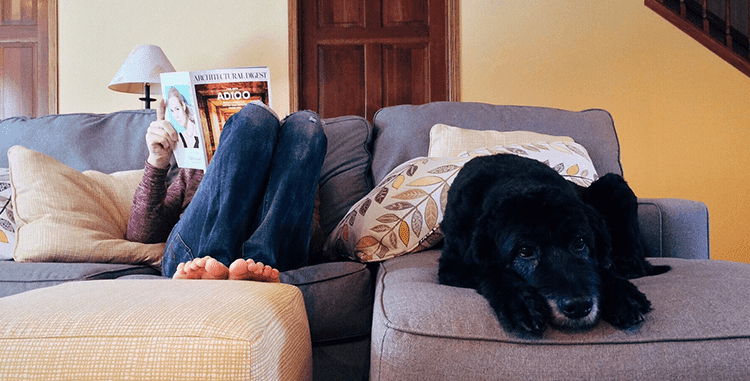 Following the smart practices and making some slight upgrades, you can choose to pay less on energy bills and increase the level of indoor comfort. So how do you keep your home energy efficient in winters? There are a number of homeowners who once start following a HVAC myth never again revise their practice and never really try to find out if the practice they are following has some real grounds. 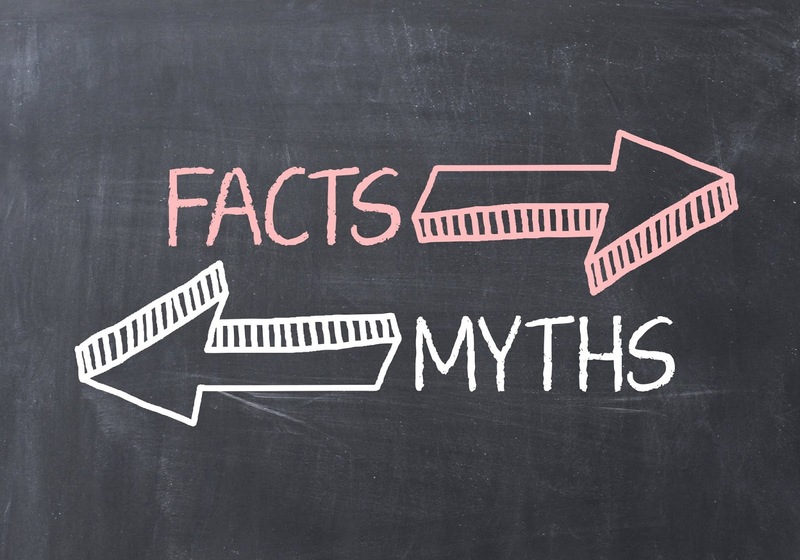 Today, we shall learn about some commonly followed HVAC practices that are nothing more than myths. Filter cleaning is certainly a DIY but duct cleaning? Say that again? Did you say Duct Cleaning is also a DIY? Well, that is the same that a vast majority of Canadian homeowners think and as a result, try to perform the cleaning themselves instead of calling professionals. A proper Duct Cleaning requires proper equipment, professionalism and the right way so that all the dust and debris of the ductwork does not fall out into the home or does not go and stick into the system's components. In addition, getting harsh with cleaning can result in damaging the ductwork, creating a trouble of repair which could be costly depending on the damage. So DIY duct cleaning is both a bad and risky idea. If you have never taken a professional duct cleaning before, take it now and you'll know the difference between a DIY and a professional's work. Of course, once the ductwork is installed, it is anticipated that it will provide with comfort for the years to come. But that is not always true and should not be considered so. Just like all the other components of the HVAC system need maintenance, the ductwork needs it too. Over time, it can develop holes and leaks, the material can damage or corrode, as in the case of metal sheet ductworks and foil ductworks. And other than that, there are some cases in which the ductwork installed is not the right ductwork for the type of architecture the home has or the type of system that is later installed. In the former cases; of ductwork damage, it is important to maintain the ductwork and get it repaired as soon as it develops holes and leaks. In the latter case; of the wrong duct type or in the case of upgrading the system, get the ductwork renovated accordingly. So buddies, "ductwork once installed is an all good good", is actually not a real thing. A myth once again! As far as the common duct air filters are concerned, they are of such quality so as to only trap dust and debris and that too limited to their capability. The bacteria, viruses and other microscopic organisms never get filtered by these paper filters. The Air Purifiers that are additionally installed with the ductwork; however, do some additional work of cleaning but then their capabilities are limited as well and not all Air Purifiers are meant to serve the same purpose. 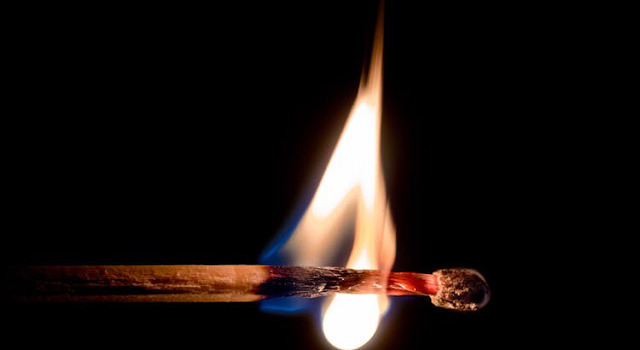 While some are for smoke, others may be for odours or bacterias. Assuming that one ordinary unit completely purifies all types of indoor impurities is....a myth once again. However, there are some latest models that are multi-purpose. But those are neither cheap nor very economical for everyday use. With winter comes the thought of Fireplace. The fireplace is one of the most amazing winter experiences. Sitting in front of it and enjoying coffee with the tantalizing sounds of wood crackles gives a heavenly feel. In Canada, while so many people now prefer Furnace and Heat Pumps to comfort their indoors in winters, there are many whose love for the fireplace is as strong as was in the days when Fireplace was the primary choice. But with the use of gas fireplace comes some real responsibility and care without which Fireplace can turn into a real headache. If you are one such homeowner who loves to use fireplace as the primary heating solution in winters, this blog is for you. Some people think that safety screens are supposed to be used when there are kids at home. Not really so. Safety screens have to be used even when there are no kids at home. These screen help keep the homeowners safe by creating a barrier. The skin does not come in direct contact with the heat. Also, sometimes, when wooden logs are used, the burning pieces fall out of the fireplace and this can result in serious consequences. Fireplaces, when not kept, maintained create a serious scenario of CO poisoning. The dirty vents push the burning gases back into the home. Also, the gas leaks from pipelines can also result in a fire. All of these consequences can be avoided by installing a CO detector. CO detector is a small device which alarms the homeowners when any unusual presence of gas is felt. It is good if you perform maintenance of your appliances on your own. But no matter how good you are at maintenance, you'll never be as good as a professional. While you perform DIY maintenance on your own throughout the season, make sure to call a professional technician for annual maintenance. Professionals thoroughly clean the fireplace, tune up the parts and diagnose any issues well in time so that you could be saved from any serious accidents. If you have been using an old fireplace since long, it is recommended to upgrade to a direct vent model now. Direct vents expel 100% of the combustion gases out of the home. Also, the sealed combustion mechanism keeps the indoor safe and the IAQ does not get affected. Winter is on its way. The time to start preparing your heating appliances is right here and right now. If you are looking forward to upgrading your fireplace, replace a part, get it inspected by professionals, want a reliable repair or anything else related to the fireplace, we have the professionals who could help you out with all the fireplace related things. It had been over 15 years that we are helping homeowners in resolving their HVAC concerns. Let us serve you as well with our world-class fireplace installation, maintenance, diagnosis, repair and replacement services. Advancement in technology has provided us with many blessings and air conditioning is one of those discount. But it needs to be kept in mind that in order for a thing to remain fully beneficial, it is important to use it in the right manner. 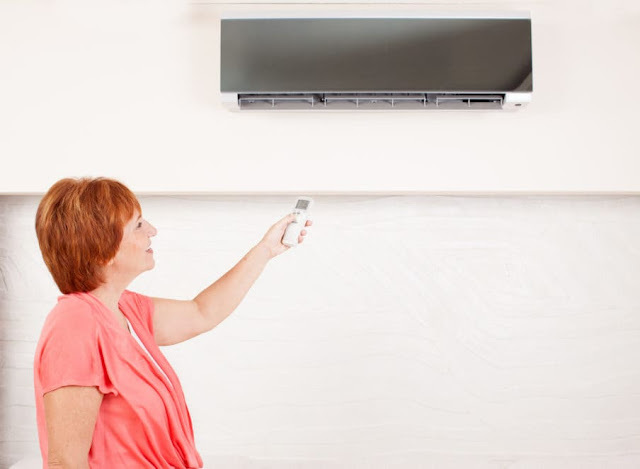 Air Conditioner on hand provides comfort in the summer and maintains a desirable indoor environment but on the other hand, creates some health issues as well. Here, it is needed to mention that Air Conditioning is not risky in entirety, it is just the wrong usage and wrong practices that makes it risky. So the fearsome articles on the dangers of air conditioning are of course too much of an exaggeration. This article is meant to explain the health problems associated with Air Conditioning and when and how they occur. This problem is not caused by Air Conditioner itself but the wrong usage of it or because of selecting the wrong size. In case one, running an Air Conditioner on ''On'' setting of the fan makes the fan run constantly, resulting in returning all the humid air back inwards. This raises the humidity level. The latter case is the case of wrong size AC. A very large sized AC cools the indoor quickly and trips often resulting in not allowing the system to dehumidify the air; the indoor humidity rises. As a consequence of indoor humidity, bacteria, viruses, mould and spores spread. And the mould growth can sometimes spread to such an extent that it can affect the entire building and the homeowners throughout the home. - Low Humidity is also a problem! Once again, low humidity is a result of the wrong use of AC. When the system is run constantly, it dehumidifies the indoor to such an extent that the humidity does not remain desirable. Too low humidity can cause health problems like skin, eyes, throat irritation. sinus problems and other respiratory tract problems. - Exposure to refrigerant is risky! The exposure does not really take place as the refrigerants are too tightly contained in the lines and keep on getting used but in case of leaks, an exposure may take place. Only a few minutes of inhaling in an environment with AC refrigerant gas can result in cutting off the supply of oxygen to your cell resulting in serious health issues. How to avoid Air Conditioning Health Problems? In order to make the most efficient use of HVAC appliances, the process starts right from the time of purchase. As mentioned above, even a wrong size can lead to creating health problems, it is important to seek professional suggestion when purchasing appliances. Secondly, the user guides and the do's and don'ts need to be practised seriously. An Air Conditioner should not be expected to give absolute benefit when it is run constantly, not given maintenance and operated in the wrong way. Last but not the least, the repairs should always be get done by professional technicians. Following the proper guidelines keep the health risks away. Have you ever faced any Air Conditioning health risks? How did you cope with them?